Click here for an easy pattern to use. THE REGIONAL QUILT SHOW, JUNE 19-21, 2015 AT THE OVERLAND PARK CONVENTION CENTER WAS A GREAT SUCCESS. Welcome to Starlight Quilters Guild! For more information about the trunk show please contact Donna. Meetings begin at 7:00pm but please come anytime after 6:00pm to chat, munch and see what activities are being offered. 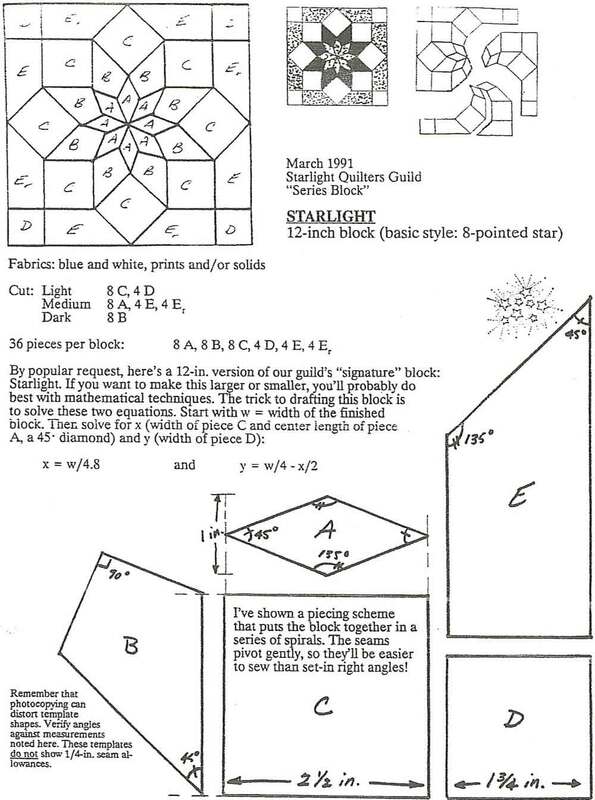 The Starlight Quilt Guild meets on the 4th Tuesday of the month, January through November. The guild does not meet in December. Note: If Shawnee Mission schools are closed due to snow, we will cancel our meeting. If possible we will try to schedule the speaker for another time. Copyright 2018 Starlight Quilter's Guild. All rights reserved.